Facebook Lite, Facebook's lightweight social media browsing app that consumes less data and works with low-end smartphones, has crossed 200 million monthly active users. Facebook CEO Mark Zuckerberg introduced the app on June 4, 2015 as an alternative to the standard Facebook app. 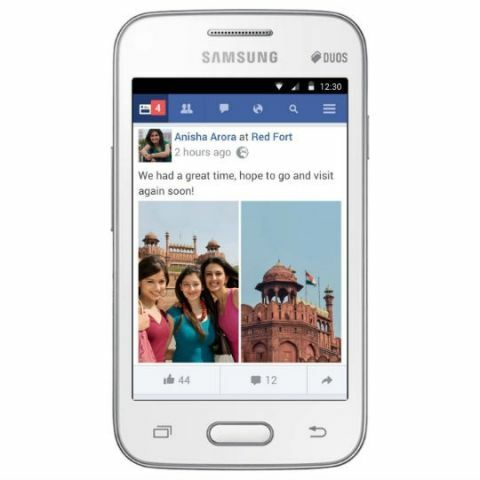 FB Lite takes less than 3MB storage space on a smartphone, and works well with slower internet connections. Facebook Lite supports more than 50 languages, and was initially rolled out for developing nations including Brazil, India, Indonesia, Mexico and the Philippines. In a press statement, Facebook says it will continue to develop the app and introduce new features considering its popularity. With over 200 million active users every month, Facebook Lite is now heading to South Korea, UAE, Italy and Israel, with plans to roll out in other countries as well. "In several countries around the world, many people are mobile first or mobile only – and that includes business owners. FB Lite is helping business owners grow and reach customers on mobile even when bandwidth is at a minimum," Facebook COO Sheryl Sandberg said in her post. Over the past year, Facebook Lite has received a number of updates focused on improving performance. The app has also been polished to make the whole interface similar to the main Facebook app, and offers easy login and logout option. Facebook Lite already supports features like News Feed, status updates, messaging and notifications, and the company says it will continue to deliver performance and reliability updates to the app. Facebook recently announced that it has over 1.86 billion monthly active users, and its Lite app will help reach users deprived of faster internet connections.